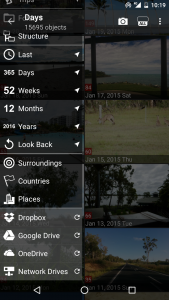 PhotoMap is far more than just a local photo gallery for Android. It enables you to access photos that are stored on your local device, on sd cards, on network drives (e.g. shared Windows directories or network attached storages), or on cloud storages (e.g. Dropbox, Google Drive, or Microsoft OneDrive). This gives you full flexibility where to store your photos. How about storing all family pictures on a local network drive at home? Wouldn’t it be the safest place for all your private memories? Add local directories, sd cards, network drives, and cloud storages in the settings of PhotoMap. The latest photos are usually saved on your smartphone or on a camera. 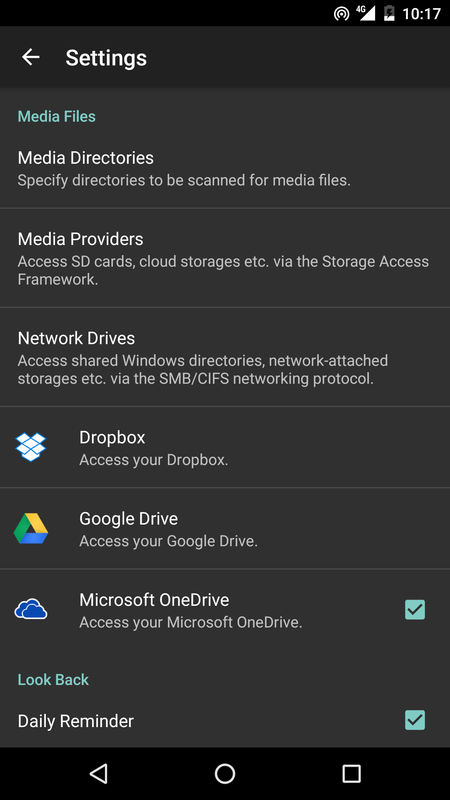 You can upload them to a cloud storage such as Dropbox, Google Drive, or Microsoft OneDrive to free memory on your device, or to be able to access them from other Android, Windows, or iOS devices. PhotoMap must not be the only photo app you are using. It wants to give you as much flexibility as you need. Give it a try! Let PhotoMap rescan a connected storage by tapping on it in the left navigation drawer. What exactly I have to enter to get access from photoMap to my network drive (NAS). You usually have to enter the path to your network drive which includes the name of your drive and the path on your drive, e.g. “mydrive/MyPhotos”. You also have to add your username and password. If possible you can try to connect to it on your Windows PC first. It works quite similar in PhotoMap. Can I incorporate the photographs I have in Google photos? It depends on where they are stored. 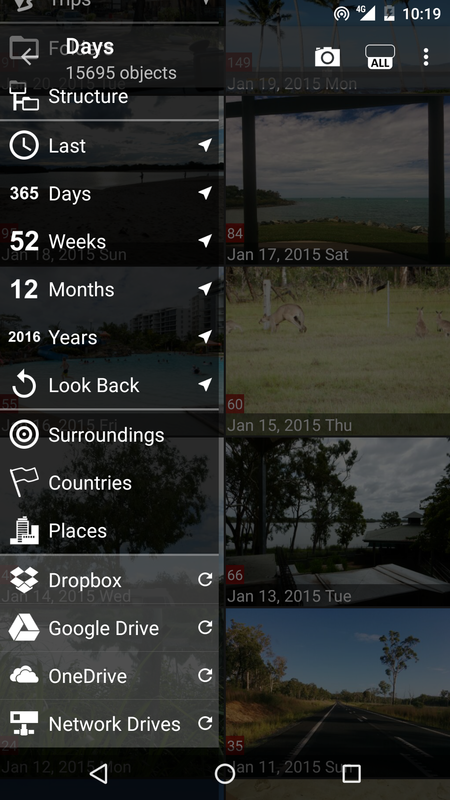 PhotoMap can access photos on local storage, sd card and Google Drive. It can’t access photos stored only in the Google Photos specific cloud storage. Can be a option for next future , that PhotoMap will be able to acces Google Photos content?